We do not accept children under the age of 4 years. Please, keep in mind that there are no children’s activities and those under 18yrs are not permitted to sample any alcohol. Note: Wineries can be subjected to change. In this instance, we will visit a different winery to offer you a similar experience. Barossa Valley is one of the most beautiful wine regions in Australia, with rolling vineyards, high-profile wineries, and quaint towns and villages. Picturesque stone cottages are studded around the landscape, and the collection of Lutheran churches hark back to the 19th century, when a wave of German settlers descended on the area. 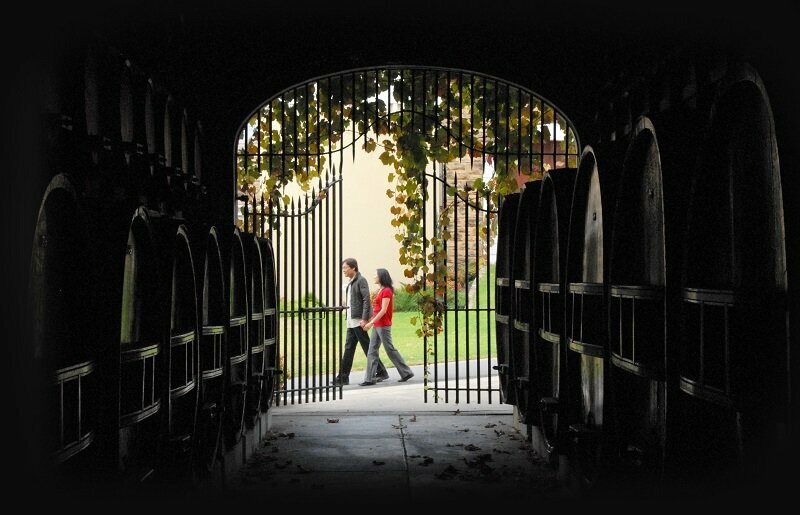 Our Barossa Valley Tours take in all of this and more. As well as indulging in the incredible scenery, you can sample some of the best food and wine in the whole of Australia. First, we head out of Adelaide and through the glorious Adelaide Hills, passing cute towns and arty settlements along the way, before stopping at the Whispering Wall, a 9-storey high dam with amazing acoustics. Then we’ll move onto the Chateau Yaldara, a stunning, historic winery that houses one of the most photographed buildings in the south of Australia. There will be plenty of opportunities to take photos in between sampling some of the world-famous wine and soaking up the beautiful views. 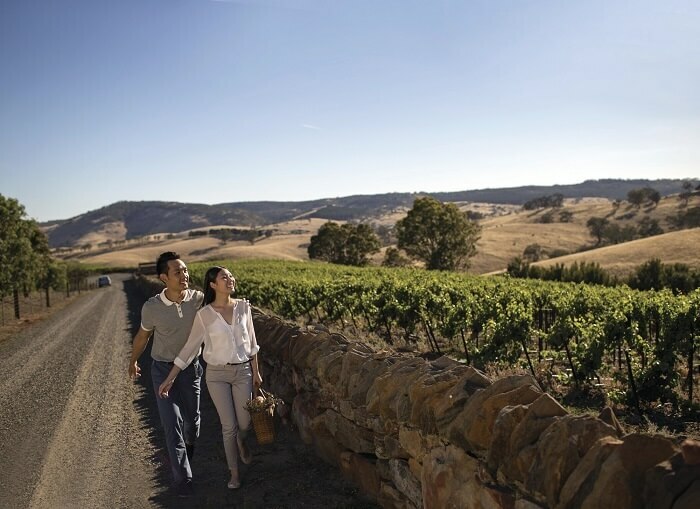 As we weave our way through the Barossa Valley, you’ll get to see why it’s considered one of the most charming spots in Australia, thanks to its lush greenery and endless plains of wineries. We’ll head straight for the heart of the Valley, crossing Jacobs Creek along the way, and make a pit-stop in the township of Tanunda. Here, you’ll have time to explore the main strip of artisan shops and local attractions, picking up souvenirs and stopping for coffee as you go. For lunch, you’ll get to tuck into some of Barossa’s delectable local produce, accompanied by exquisite wine at the Peter Lehmann Winery – think platters of cured meats, cheeses, and freshly baked bread (vegetarian options are available). Once we’ve eaten, we’ll wander along to Langmeil, one of the oldest wineries in the region and the oldest Shiraz vineyard in the world. You’ll get to sample some of the wines here before we move onto the Mengler’s Hill Lookout where you can marvel at sweeping views of the Valley. 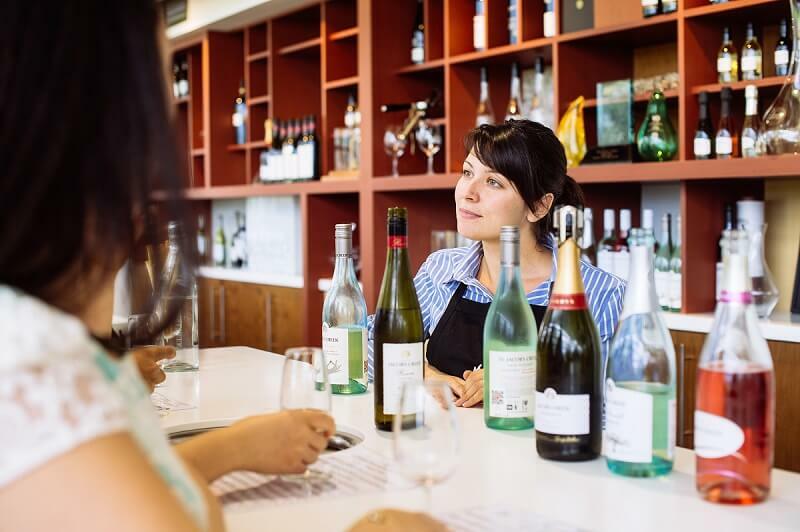 The day comes to a close at Lindsays Winery, a winery which effortlessly combines old and new ways of making wine, where you can try some of the artisan tipple and, if you’re lucky, ask Craig Viney (a star in the wine-making industry) a question or two. 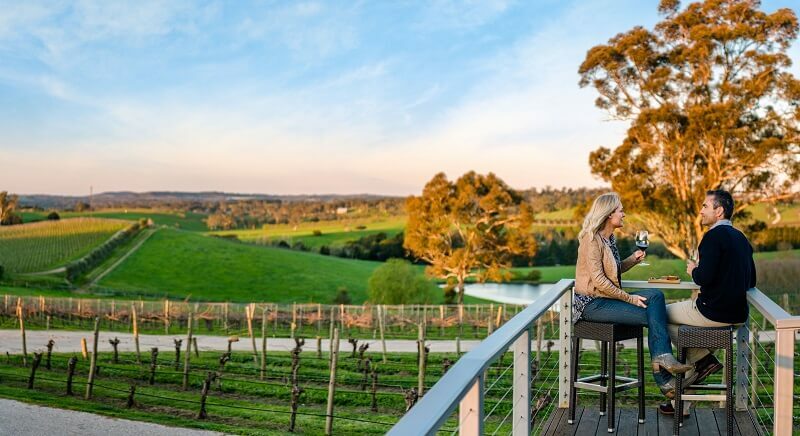 After all the delicious food and wine tasting, we’ll make our way back through the glorious scenery of the Barossa Valley to Adelaide, where your day of sumptuous culture unfortunately comes to an end. 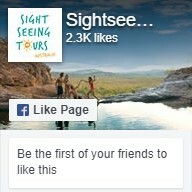 Book one of the best Barossa Valley Tours today!